In the September 2017 Federal Reserve (FED) Open Market Committee meeting, their predictable decision to hold interest rates steady was affirmed. That was neither noteworthy nor consequential, but another decision the FED made was worth our attention. Remember all the Quantitative Easing programs (QE1, QE2, etc.) the FED has been using to “stabilize” financial markets for several years? Their recent decision is to wind down the QE programs, in a process called “normalization”. Under the QE programs, the FED purchased billions of dollars of bonds every month, both Treasuries and Corporates, and as those bonds matured, the FED simply bought new bonds with the electronic proceeds. They did this using money that didn’t exist prior to their activity. How, you might ask? Electronically! Does anyone remember former FED Chairman Ben Bernanke explaining that the FED doesn’t use a printing press; they merely create it on a computer? Without getting too technical, the FED has the power, unique among all American institutions, to “create” money out of thin air. In economics, this is called “fiat money” or “fiat currency.” This power, granted by Congress, can only be taken away by Congress. But that won’t happen, because the FED’s very ability to create that fiat money enables Congress to go further into debt. As much as they love to spend money, they do not have to worry about finding someone to finance their deficit spending, so long as a willing FED will play ball by helping them pay their bills. Is that about to end? Probably not. Termination of the QE-whatever programs will be gradual, and will take years to reduce the FED’s balance sheet to anything close to its older, smaller size. What, then, is my point? I’ll frame it using a question. If the FED is no longer going to re-invest all of its bond redemption “cash,” what will they do with the money? Van Wie Financial has been unsuccessful in locating the answer to that question. We believe that the monthly un-reinvested funds should be destroyed (electronically, of course, as that’s how it was created). If not, the fiat money will be injected into the economy, where it will chase additional goods and services. This is one of the classic causes of inflation (more money chasing the same quantity of goods and services is often called “demand-pull inflation”), but the FED’s Mission Statement includes the goal of stabilizing prices. We have long believed that the FED is an institution whose time should never have come. 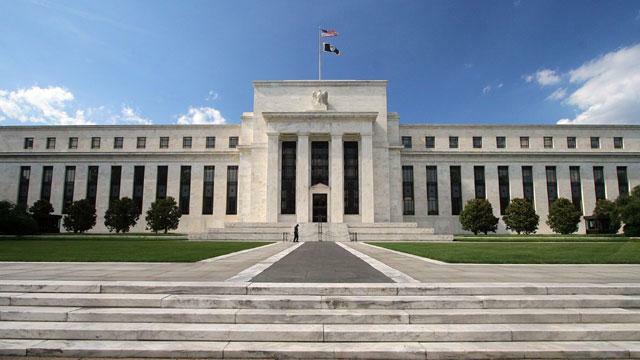 Having lost that battle in 1913, we now believe that the goal of the FED should be to work itself out of existence, transferring the FED’s duties to private institutions. Good luck! Reducing the QE programs through normalization should at least be managed in a manner that will control growth of the nation’s money supply. By doing so, the FED can ward off hyper-inflation. You, as investors, should give some thought to those asset classes that flourish during inflationary times. Finally, keep an eye on the date February 18, 2018, at which time the current term of FED chair Janet Yellen expires. Perhaps President Trump will appoint a non-Keynesian economist to oversee this very important process.